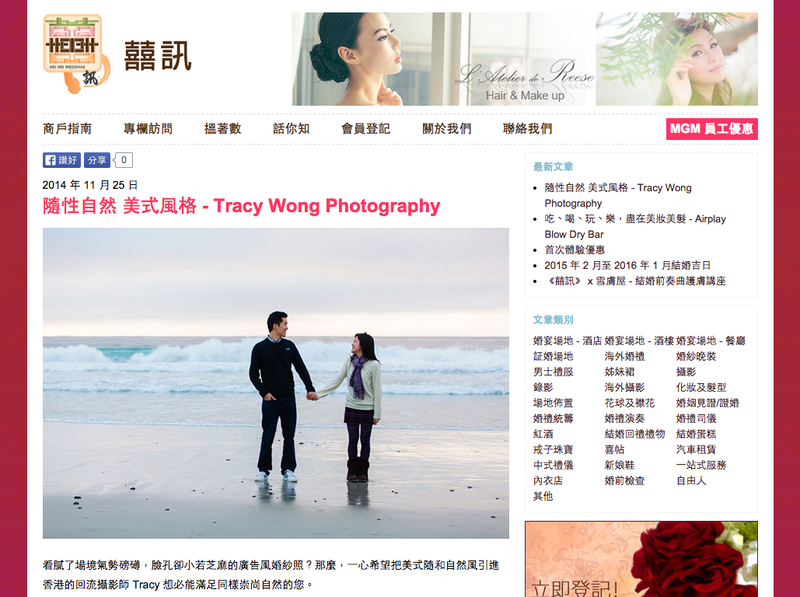 I’m so honored to be interviewed by Hei Hei Wedding,《囍訊》, a local wedding resource in Hong Kong. At the interview, the editor and I chatted about my natural photography style for weddings and pre-weddings. My emphasis for the story-telling look goes against the current trends for the posed look in wedding photography in Hong Kong. I’m always an advocate for letting the couple’s true happiness shine! Hei Hei Wedding also pointed out my attention to customer service with my wedding clients. I believe that having good communication between the photographer and the couple helps make the whole process go smoothly. And of course it’s great to hear that my clients are happy with their photos! The article was published in Chinese – please check it out on Hei Hei Wedding’s site. I appreciate the feature… and the editor’s elegant writing style!